Learn, Understand and Enjoy with Metsudah Linear Translations! 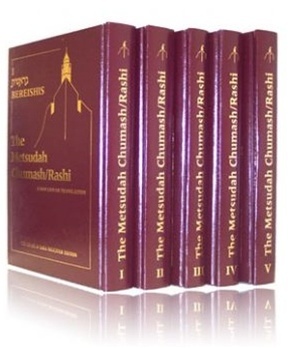 The Five Books of the Torah have been fully translated in the pleasing linear style of the rest of the Metsudah Classic Series. 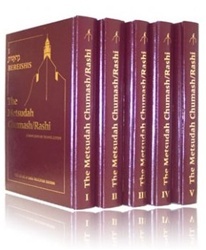 Featuring a line by line translation of the text and Rashi's commentary, with helpful explanatory notes that identify Rashi's sources and pinpoint the difficulty Rashi wishes to clarify. Available here in full reference size.